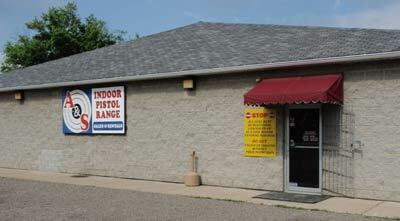 Youngwood, PA Shooting Range, Indoor Pistol Shooting, New and Used Guns for Sale. 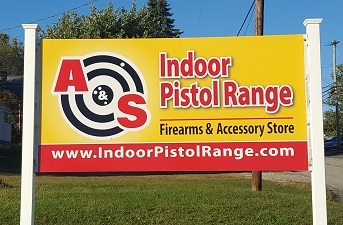 A & S Indoor Pistol Range is located at 617 Overhead Bridge Road, Youngwood, PA 15697. Click the Interactive Google Map below to enter your address for personalized driving directions. Basic text directions are available below the map. Just 2-2.5 miles from the New Stanton, Pennsylvania Turnpike Exit, the Route 66 Amos K. Hutchinson Bypass and Route 70, A & S Indoor Pistol Range is located just off of Route 119 and an easy drive from Pittsburgh, Greensburg, Latrobe, Monroeville and many other communities throughout southwestern Pennsylvania. After you pass the light at Speedway (formerly King's Restaurant), approximately a quarter of a mile, there will be a small street sign for "OLD 119" on your right. Turn onto "OLD 119". Continue on road for one mile. A & S Indoor Pistol Range will be on your right. If you miss "OLD 119", continue on 119 South. As the road splits going into Youngwood, make a very sharp right turn. A & S Indoor Pistol Range will be on your left. As you enter Youngwood, continue through four traffic lights. After the fourth traffic light, get into the left lane. Turn left onto Oak Street by Sheetz. Continue straight through the traffic light. At the second stop sign, turn right onto 6th Street. 6th Street ends at a "T". Turn right onto Clawson Avenue.